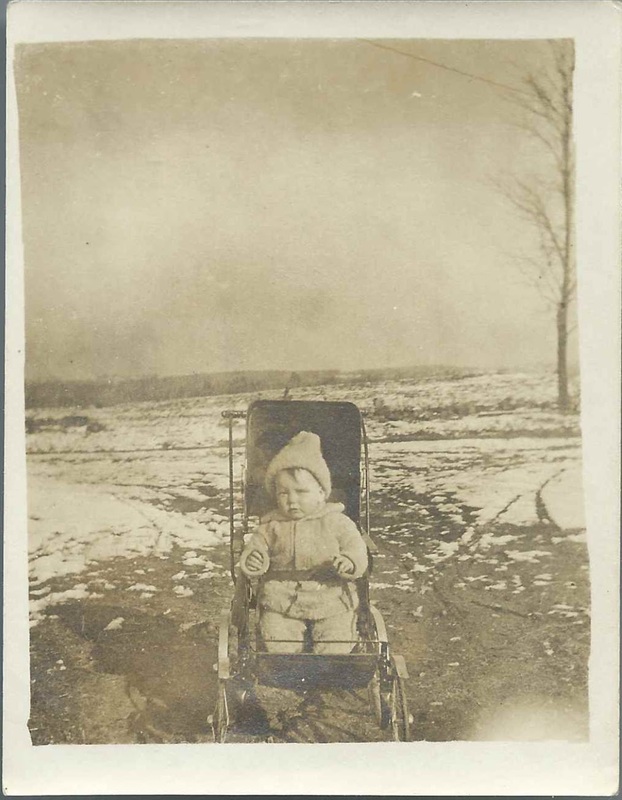 Photograph of a child bundled up against the winter cold, identified on the reverse as George Leroy Smith, Jr., at age 13 months. 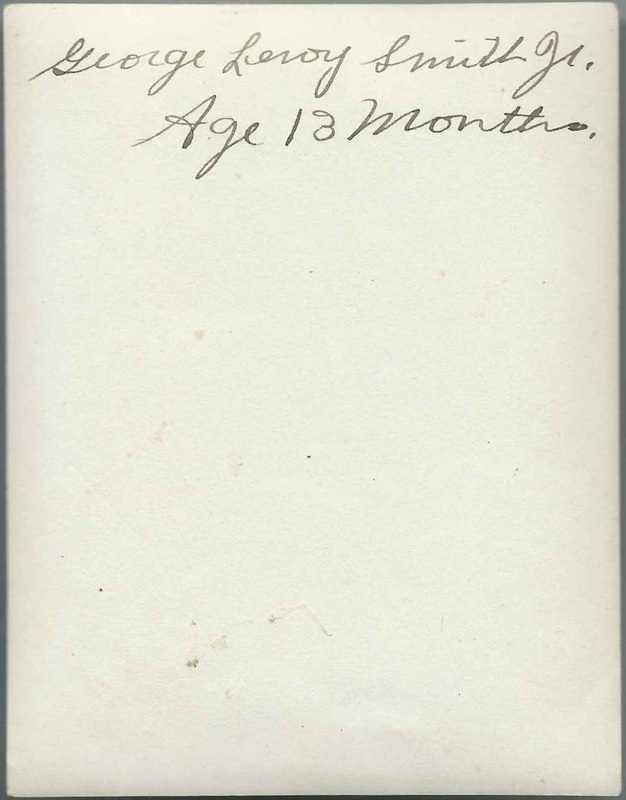 There was a George Leroy Smith, Jr., born 14 April 1902 at Lawrence, Massachusetts, son of George L. and Mary M. (Groesbeck) Smith of Lawrence, Massachusetts, but I have no way of knowing if this was he. And there are a lot of possibilities nation-wide. If you have recognize a George Leroy Smith, Jr., from your family albums or research, please leave a comment or contact me directly.